Leadership in Energy and Environmental Design has become a household name in real estate, design and building circles. Another “best practices” program for school design, which is less widely used but gaining traction in the industry, is Collaborative for High Performance Schools (CHPS). 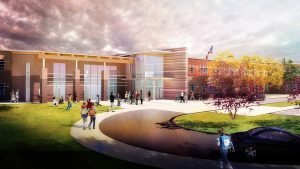 We have been working with CHPS for seven years and truly see the value in an alternative rating system that helps school districts and the project teams design, construct and operate high performance schools. HCM’s Adele Willson and Ara Massey published an article for the Colorado Real Estate Journal on this innovative program.